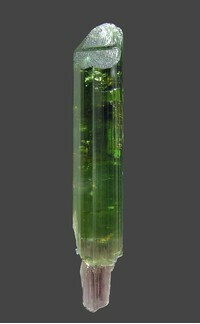 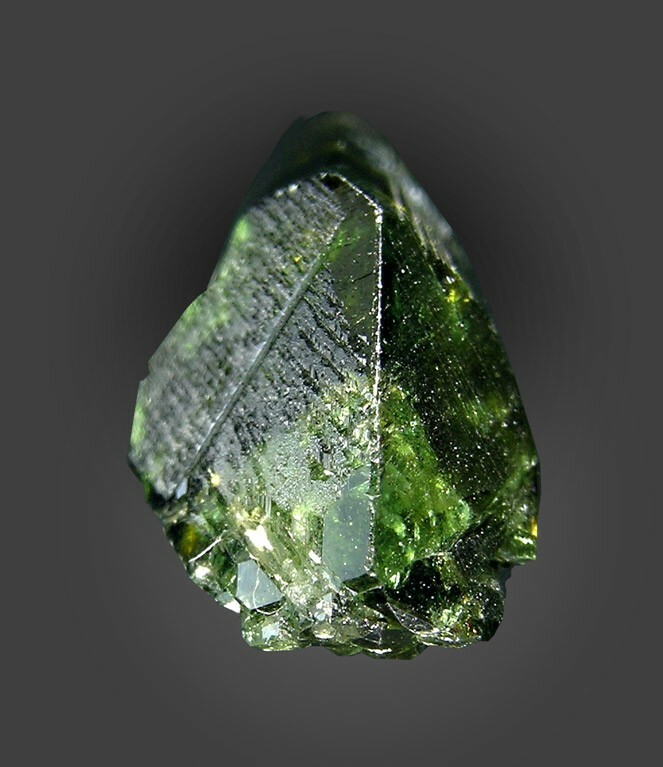 Elbaite scepters from Barra de Salinas are familiar to collectors all over the world. 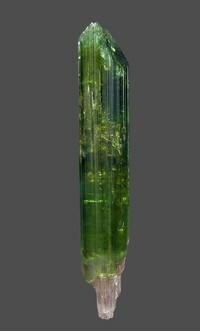 This specimen is especially neat, with a perfect acute termination and very intense transparency, color and luster contrasting with the pink (also deep) on the base of the scepter. Barra de Salinas Mine, Coronel Murta, Minas Gerais, Brazil.